The girls and I spent Field Day with Riley at school. 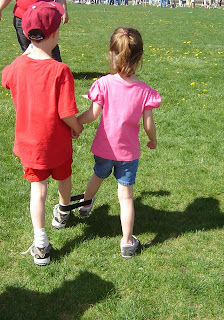 I love this picture of Riley and Brianna doing the three legged race. He was so sweet to her and let her join his class.